The following article describes an overview of the functionality of the Marketing Dashboard. This widget identifies key performance indicators in areas of leads, cost, and sales. Number of leads in current period. The variation number is the percentage variation vs the number of leads for the previous period. The sum of all won deal values divided by the number of deals. Only will consider won deals in the current period. The variation percentage is calculated by comparing this value with the value for the previous period. This is average cost per lead based on the costs associated with groups of leads. The percentage variation is the variation between this value and the previous period. The average number of days for a deal to move from created to won. The variation percentage is calculated comparing this value with the same one obtained for the previous period. All costs associated with the deals being Won in the current period, divided by the number of Won deals. Costs are formulated from the costs associated with groups. Percentage of Deals Won/Lost in the current period. Percentage Variation is just the difference in percentage values between the current and previous period. In depth analysis on lead quality and revenue and cost associated with lead sources. Displays Won/Loss rate based on the % of deals closed (won or lost) in the group. Other option is the % of deals that have reached the given phase selected, taking into account all deals in the group. This displays revenue and costs associated to each group. This shows the partial contribution of each campaign over time. The ‘Revenue’ option showing you did revenue generated, and the phase options showing you how many opportunities made it to each phase. 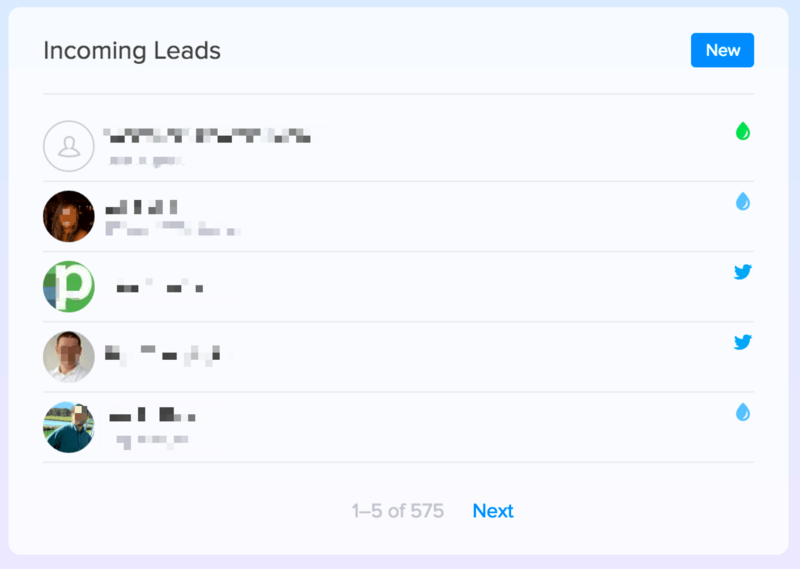 This widget shows the total number of leads or deals in the given phase. For the weekly change, the values are calculated by subtracting the value from that the current day to the value 7 days ago. All leads sorted by the date created (latest first). Overview of website visit statistics. More detailed view in the ‘Web’ section. 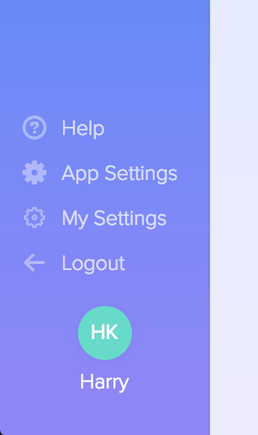 To enable the Marketing Dashboard select the App Settings in the bottom left. You're all set! 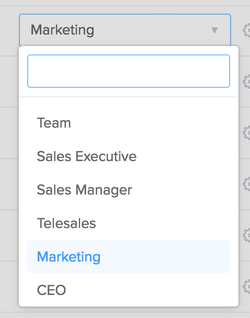 Now you can access all the features of the Marketing Dashboard. 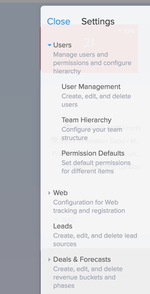 To learn more about User Dashboards, read our support article here.